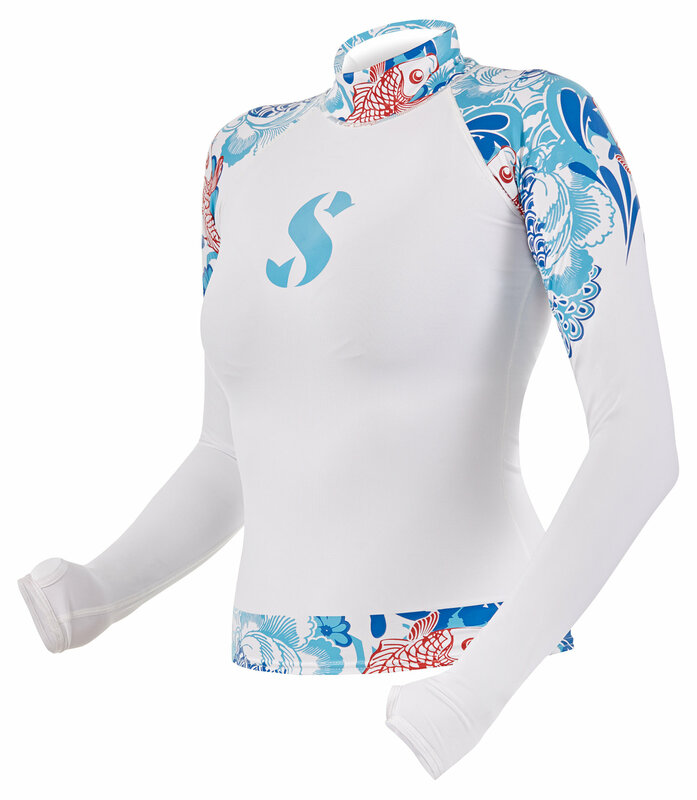 You'll be sure to be noticed wearing the eye-catching white lycra AMBER rash guard, adorned with colorful sea life graphics around the waist and on the shoulders. Designed to excel as an undersuit, this long sleeve watersports rashie is also a great topside garment. It dries quickly after a dive, and its breathable high-tech hollow fiber material is not only comfortable, its SPF-80 UV rating will protect your skin so you can have fun in the sun without worry. The AMBER comes in a wide range of sizes so you can achieve the perfect fit.